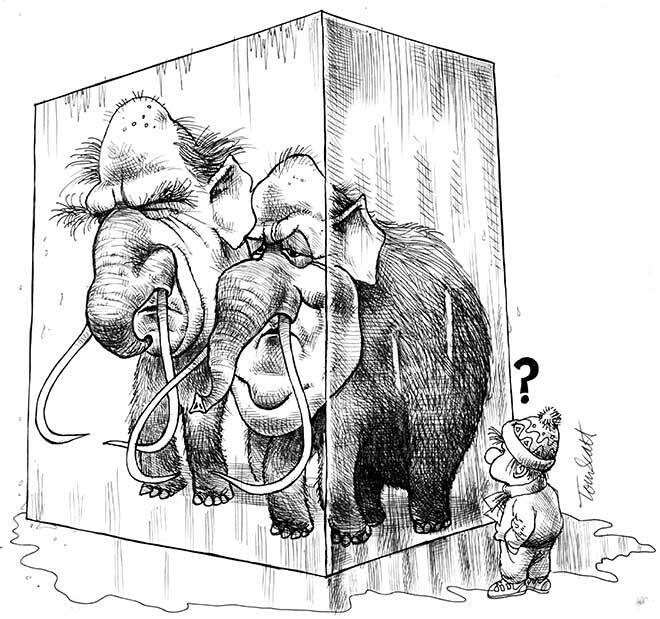 Tom Scott's cartoon shows Prime Minister Robert Muldoon and Federation of Labour leader Jim Knox as woolly mammoths encased in a slowly melting block of ice. Drawn for the cover of the 1983 book After the freeze by Rob Campbell and Alf Kirk, the cartoon refers to the wage and price freeze that Muldoon introduced in 1982. It also suggests that both Muldoon and union leaders were taking a prehistoric approach to the economy.